Maryhill’s all-volunteer Board of Trustees helps guide strategic planning, financial oversight, and management, and is instrumental in ensuring a dynamic and vital future for the museum. Trustees also serve on committees devoted to collections, marketing, education, finance, grounds, audit, governance, fundraising and membership, executive and such ad hoc committees as necessary. Maryhill’s Trustees have diverse interests, live throughout the region —from Seattle to Goldendale, Portland to Ion—and have skill sets ranging from marketing, education, law, and the arts, to business, farming and ranching. What they all have in common is a passion for Maryhill! ANNE AVERY, Lake Oswego, OR, first visited Maryhill as a child and has been a fan of this Northwest Treasure ever since. After graduating from University of Oregon in Art History, she worked under Rachel Griffin at the Portland Art Museum, where she developed a lifelong interest in public art. She helped write public art policy for the City of Tualatin, for Portland’s Regional Arts and Culture Council (RACC), and for the Washington County Cultural Coalition arm of the Oregon Cultural Trust. She has been invited to jury public arts projects for RACC, Portland’s Tri-Met, and the Oregon Arts Commission. She has served on several public art boards and one community theatre board where she has helped raise funds and write grants. Professionally she has been a graphic artist, a private contractor for special arts projects, and Development Director for the Washington County Museum. Anne traveled in Europe and Africa for two years and has lived in San Francisco and Seattle. She has an adult son and daughter. She maintains a small graphic design business. SANDRA BOYD, Bellevue, WA is an experienced community affairs consultant and lobbyist who can generate bankable results and accomplishments by negotiating and communication. She is currently president of Sun Canyon, Inc., an 809 acre proposed destination resort in Central Washington. Sandra has been committed to the arts throughout her life, and has served in a number of organizations including the Seattle-King County Council of Camp Fire Girls and Boys, Junior League and the Arthur G. Dunn Guild board, an organization dedicated to supporting Maryhill Museum of Art. Sandra is an active past president of both the Seattle Opera Guild and the English-Speaking Union of the Seattle Branch, this past year serving as chair of the annual conference. She continues to serve on the board of the Museum of History and Industry. She also attended the National Republican Convention as a Romney Alternate Delegate. She has received a number of awards, including the Luther Halsy Gulic Award, the highest National Camp Fire honor. Sandra loves Maryhill Museum of Art, and is especially drawn to the museum’s Theatre de la Mode collection. LAURA CHENEY, White Salmon, WA. 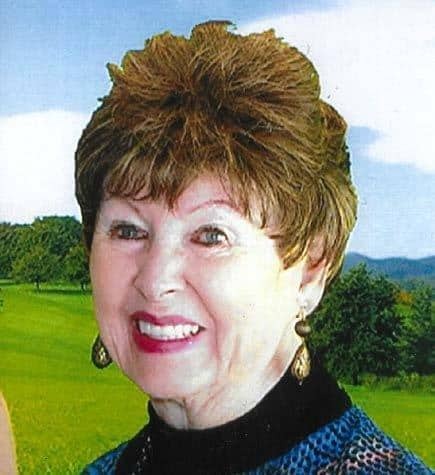 A longtime resident of White Salmon and closely involved with the family lumber business, Laura graduated from the University of Oregon with a BA in Social Science and from The Katherine Gibbs School one-year administrative secretarial program for college graduates in New York City. She and husband John lived in Omaha, Nebraska, where she worked as secretary to the vice president of a brokerage firm while John completed his tour with the Navy at SAC Headquarters. Living in White Salmon since 1972, they raised three children while being active in the community. Laura volunteered for 10 years with the Boy Scouts of America, holding various positions from den leader to Mid-Columbia District Commissioner. She participated in bringing AYSO soccer to White Salmon as well as PTA, serving as president for 2 years. 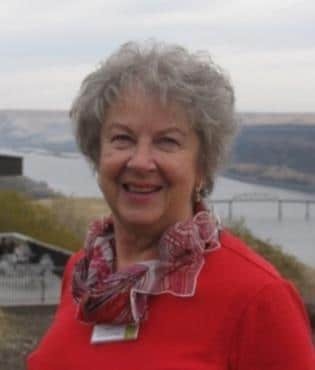 She served as Klickitat County Chair for the Republican Party from 2001 through 2011. Interested in the arts, she is a member of the Portland Art Museum and president of a foundation whose focus is gifting to the arts world annually. IAN GRABENHORST, Yakima, WA, is a lifelong educator, his last ten years serving as Assistant Superintendent for Educational Programs at Educational Services District 105 in Yakima before retiring June 2014. Previous to ESD 105, he served as superintendent of schools for Goldendale School District from 1992-2004. It was during his stay in Goldendale that Ian and his wife Cheri became members of Maryhill Museum of Art. 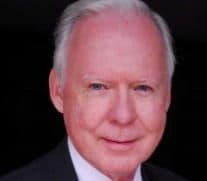 During 40 years as an educator in Oregon and Washington, he has been actively involved in civic organizations, and has served on a number of boards. Ian always kept the arts a priority, bringing artist-in-residents into the schools, integrating the arts with academic subjects, and actively pursuing and securing federal arts grants for supporting and developing the arts in the ESD 105 region. Ian and Cheri have three grown, married children and one grandson. Two and live work in Portland, OR, and one in Yakima, WA. One of his favorite memories as a child growing up in his grandmother’s house in Condon, Oregon was her story about meeting Queen Marie from Romania when she visited and dedicated the museum in 1926. BYRON HENRY, Vancouver, WA, is a retired pharmacist. 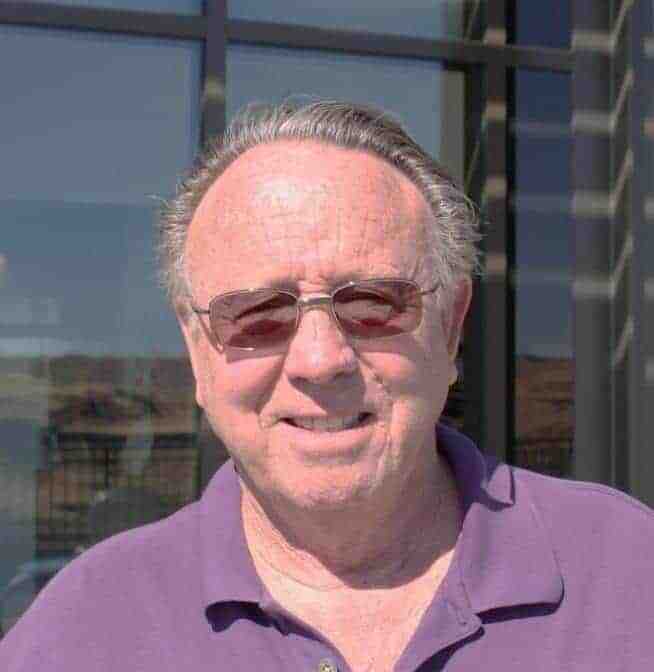 He worked for over 40 years in SW Washington and NW Oregon and had an instrumental role in the development of Hi-School Pharmacy/Bolger Pharmacy, a chain of drug/variety/hardware stores. He was born and raised in Eastern Washington and attended Washington State University where he met Sue, his wife of 49 years. They have two grown sons and three grandchildren. Byron served on the Clark County Boards of Columbia United Providers and the Human Services Council and was also active in the Boy Scouts of America. He is currently serving his sixth term as Treasurer of the Native American Art Council of the Portland Art Museum. Byron and Sue have a deep interest in Native American and Pacific Rim culture and art and have been active members of the Portland Art Museum’s Native American Art Council for many years. Byron has an interest in the native people and geological history of the Columbia River Gorge that began at an early age when he observed Indians fishing off of the platforms at Celilo before the construction of The Dalles Dam. NORM JOHNSON, Yakima/Olympia, WA, is completing his fourth term in the Washington State House of Representatives representing the 14th District, which includes parts of Yakima, and Clark counties and all of Klickitat and Skamania counties. He is currently running for a fifth term. Norm is a life time resident of Yakima county. He was born and raised in Toppenish. He graduated from Toppenish High school and attended Washington State University and Central Washington University earning a BA in Education and an MA from Fort Wright College of Holy Names (now Heritage University). He served in the U.S. Army. Norm taught and counseled at schools in Mabton and Toppenish and was principal of Eagle High School in Toppenish. Norm has always been active in Civic affairs. He is the past Mayor of Toppenish. He has served on the Mabton Town Council and the Toppenish and Yakima City Council. Norm has also served on the Boards of the Toppenish Rodeo and Livestock Association, The Mary L. Goodrich Library and the Hop Museum to name a few. He is also a member of the Yakima Downtown Rotary Club. 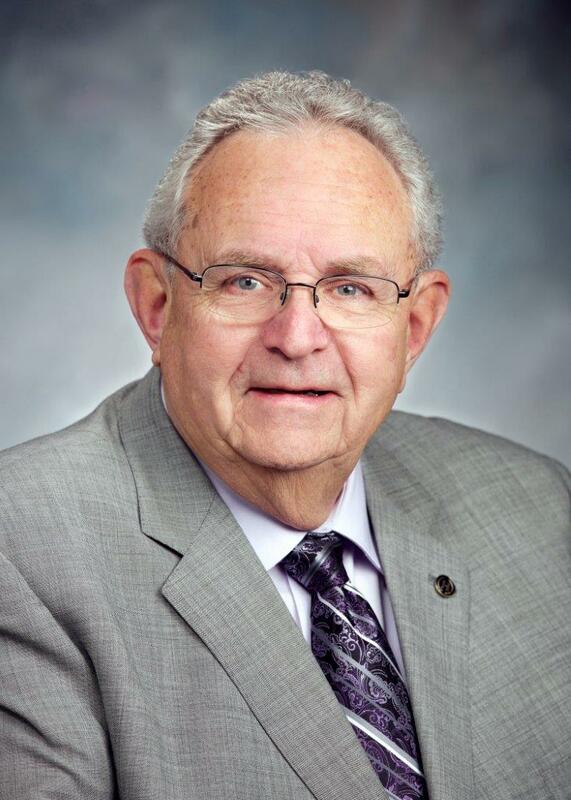 In the Legislature, Norm served as a Ranking member of the Community Development, Housing and Tribal committee, and Health Care and Wellness and The General Government and Tech. Committee. He has served in the past on the K-12 Education, transportation, Higher Education and Rules Committees. In addition, he serves as one of four House Members on the Pacific Northwest Economic Region Committee with legislators from Oregon, Idaho, Montana, and the Western Providences of Canada. He is also a member of the select Committee on Aging and Long Term Care, and the Committee on Oral History. Norm first visited Maryhill Museum of Art when he was eight years old. He also was involved with a Friends of Maryhill Museum of Art in the 1960’s. Norm lives in Yakima and has four sons, ten grandchildren and three great-grandsons. He is honored to be a part of Maryhill Museum of Art. MATT JOHNSTON, Portland, OR, is an art historian specializing in nineteenth-century American art and popular culture, with a Ph.D. from the University of Chicago. He has taught at Lewis & Clark College, in Portland, OR, for six years and has lectured on modern art topics at various Portland-area museums, including the Portland Art Museum and the Museum of Contemporary Craft. Matt is especially interested in prints and publishing, with a BA in printmaking from Yale University and work experience at the Echo Press (an artist’s press in Bloomington, IN) and the University of Chicago Press (in production and design). He and his wife, Dawn Odell (also an art historian), have two sons. EDWARD E. KICE III (NED), The Dalles, OR, was born 17 March 1943 in Oklahoma City, OK and lived in Oklahoma and Missouri until adulthood. Ned graduated from Oberlin College in Ohio in 1965 and the University of Missouri, School of Medicine in Columbia, MO in 1969. He then trained in Anesthesiology at OHSU. Ned served on active duty in the US Army Medical Corp from 1970-1972. Upon completing his medical training, Ned established a practice of Anesthesiology at MCMC in The Dalles from 1974 until 2008, when he retired. Ned married Saundra Deems (Sandy) in 1969, and they have two adult children, Rainbow and Nathan, a son in law, Chris Nelson, a granddaughter, Frances Nelson, and a soon to be daughter in law, Michelle. Ned and Sandy live in a home that Ned designed on Mill Creek near The Dalles. Ned has been active in Medical politics and at St. Paul’s Episcopal Church, and he has served on the Standing Committee of the Episcopal Diocese of Eastern Oregon. He has been interested in various aspects of spirituality his entire life. Ned has an interest in art and architecture, with a collection largely of local artists in his home. Ned has volunteered his time at The Dalles Art Center and has contributed to Maryhill and the Portland Art Museum. Ned has also participated in Maryhill “s summer art institute. Ned is also an avid gardener and past president of the Oregon State Master Gardeners program. Ned and Sandy love to travel, with an emphasis on appreciating art and gardens. 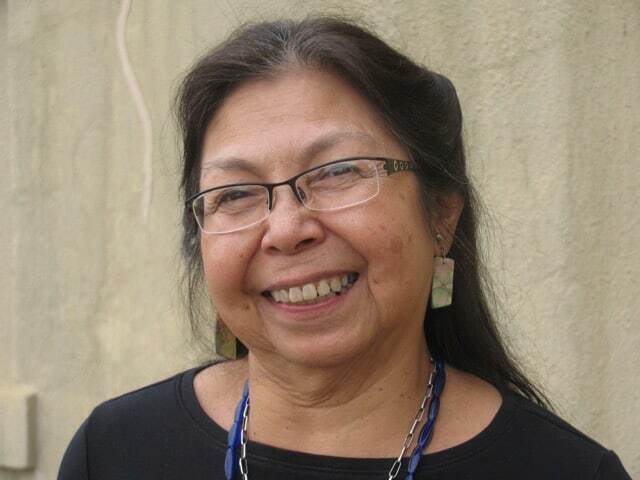 KATHLEEN MARQUART, Portland, OR, is Alaskan Native, a member of the Tlingit-Haida Central Council. She was raised in Wrangell Alaska, the eldest daughter of a commercial fisherman. Summers were spent on the beaches in her family’s fish camp, or on seiners looking for jumpers. Her professional career was as a Certified Physician’s Assistant in Indian country, providing medical care on reservations in South Dakota , Arizona, and New Mexico, and Oregon, as well as in Urban Indian medical clinics in Seattle, Portland, and Oklahoma City. She worked hand in hand with people from many tribal backgrounds, especially Lakota, Navajo, Hopi, and Zuni, all of whom she lived and worked among. She developed and supervised a Maternal/Child Health Program, using local community outreach workers and a mobile clinic unit to assure prenatal care in small, distant communities like He Dog, and Upper Cut Meat, SD. The Urban Indian clinics served a multitude of Tribes. For example, the clinic in Oklahoma City had active patients from 126 Tribes. 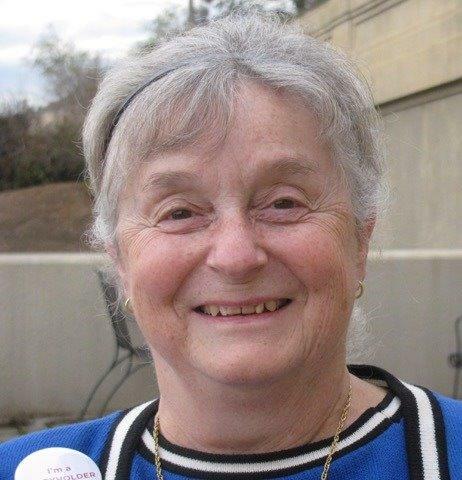 Kathleen has been a member of numerous committees and advisory groups on the local, state and national levels, involving rural and maternal, child health Issues. She has served as Diversity Chair on her professional associations committees. Currently Kathleen is Vice Chairperson, and the Portland Area (WA, OR, ID) Representative of the National Indian Women’s Health Resource Center. PHILIP MASCHER, The Dalles, OR, grew up in Sweden in the small town of Mariefred, nestled around the 16th century castle of Gripsholm. This idyllic historical setting could very well be the reason for Philip’s lasting appreciation for art and history. At ten years old, his family moved to Berlin, where he spent his teenage years. Another place full of art, of a very different kind – contemporary, activist art informed by social conscience and a spirit of change – a true global metropolis. After apprenticing to be a cabinet maker journeyman in Bavaria, and working on restoring a 13th century farmhouse in Dordogne, France, Philip first came to the US in the early 1980s. Here he got into marketing, and spent 25 years working in client management with some of the most awarded ad and brand agencies in Europe and the US. Wieden & Kennedy brought Philip to Portland in the early 90s, and he soon fell in love with the Pacific Northwest. In 2017, Philip moved to The Dalles, and following a desire to work with the local community, switched careers to become a real estate broker. He has served on the board of the Portland Advertising Federation and is now volunteering with a number of The Dalles civic engagements. Philip is blissfully married to his best friend April. They have two sons, Cosmo the musician lives in Los Angeles, and Finnegan the student is at U of O in Eugene. MARK MASTERSON, Tigard, OR, was introduced to Maryhill Museum of Art as a teenager while living in the Tri-Cities and traveling with his Dad on frequent business trips to Portland. Mark is a “foodie” at heart having a long career in the food and wine industry, and as a personal chef. He currently works at UTB Enterprises / McDonald’s as their Marketing Supervisor for Portland area restaurants. Mark has two teenagers; a daughter at OSU and a son at Tigard High. JIM McCREIGHT, Beaverton, OR, is serving his 7th term on the Maryhill board. 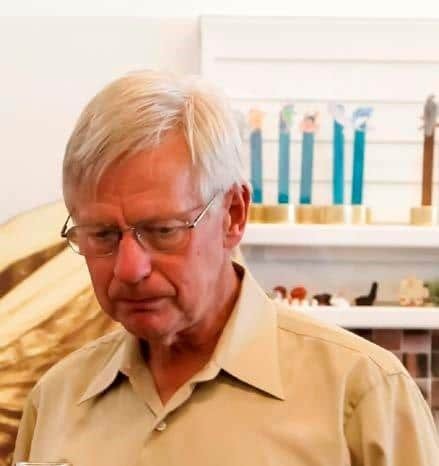 Jim has served as president of the Beaverton Arts Commission, Beaverton Arts Foundation, Beaverton Chamber of Commerce, and is President/Chairman Emeritus of the Museum Trustee Association. He served as a trustee at The High Desert Museum in Bend, Oregon 2005-2013. Service on Maryhill committees includes Executive, Finance, Strategic Planning and Development. 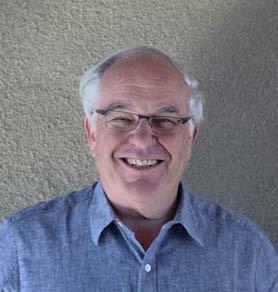 Jim joined the Maryhill Board in 1995, served as treasurer in 1998, and was president from 1999 to 2002. Jim has a B.S. degree in history from Portland State University. He is currently Director of Strategic Partnership, Oregon Technology Business Center, Portland, OR. 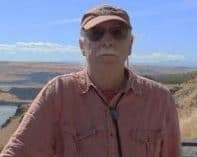 ROBERT A. MOCO, Goldendale, WA, a long-time resident of Klickitat County, is a retired teacher and administrator for the Goldendale School District. He is a former advisory member of the Columbia Gorge Community College Electronic Engineering Program, the Tri County Workforce Development Youth Council and the Goldendale Head Start Grantee Board. For over 25 years, he has been a civic leader and volunteer, particularly with the Goldendale Kiwanis and Jaycees. Bob holds several degrees from Central Washington University and is Past President of the CWU Alumni Board. He is also chair of the Klickitat County Board of Equalization, serves of the MHM Executive Committee and Ranchlands Committee, and is the current President of the Goldendale Golf Club. Bob and his wife, Kathy, have been Maryhill Museum of Art members since 1990. KAREL LEE MOERSFELDER, Portland, OR, and her husband, Edward, are recent residents of Portland after moving from the Midwest to join family who migrated to this area. She was born in Oakland, California, and split her pre-college years in California, the Chicago area, and outside of New York. She returned to the Midwest to attend the University of Wisconsin, where she obtained the degrees of J.D. (1973), a Master of Science Education, (2014), and a B.S. in Education (1970). She and her husband moved to Minneapolis upon graduating from law school, and she practiced criminal law there for thirty-three years, originally as a Public Defender and then as a Prosecutor for Hennepin County. As an attorney in the Hennepin County Attorney’s Office, she acted as a trial attorney, a Senior Attorney, and a Managing Attorney. Her responsibilities included overseeing staff attorneys, heading up Trial Divisions, and serving on the Management Team for four different County Attorneys. She is currently retired. She has put in many hours volunteering in schools and women’s community groups. Her hobbies include reading, making and collecting miniatures, attending theatre and visiting museums, traveling, quilting, and spending time with her family. MICHAEL OROS, Aloha, OR, is originally from Transylvania area in Romania and has called Oregon home-base since 1990. An avid traveler of 50+ countries, his travel forms the foundation which further fuels his passion for people, culture and history. 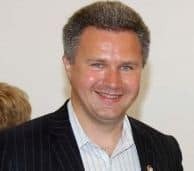 Michael is the President of Romanian-American Society (non-profit org), and has a long history of community involvement dating to high school days when he started the English Second Language Buddy program and was a student Ambassador in college. 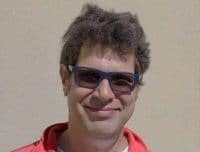 In the past 13 years Michael has been involved in many technology and industry initiatives at Intel and with the industry, serving as advisor to technology companies and several non-profit standards organizations around the world. Michael holds an M.B.A. and B.S. in International Business from US International University, maintains a feverish passion for technology and occasionally he still plays a game of tennis. DEAN V. OZUNA, Seattle, WA, is a CPA in Seattle specializing in small businesses and has been in practice for over 15 years. After receiving his Bachelors and Masters degrees from the University of Washington, Dean has performed as an adjunct professor at Central Washington University, served on the board of an insurance company and is very active in his community. His business, the Maryhill Ratz, has not only raised awareness of the beauty of the Maryhill region but has also raised thousands of dollars for local organizations including the Maryhill Museum of Art, the Goldendale High School Girls Athletic Department, The Goldendale Parks Department and the Goldendale Foodbank. JURIS SARINS, White Salmon, WA, was born in Germany in 1948 to Latvian parents who encouraged his scientific and artistic development. He was educated in New York City and graduated from Pratt Institute with a BS in Chemistry in 1973. He pursued a career in metal refining, working for AMAX’s Carteret, N.J. smelter until 1986. Juris then purchased an art gallery, the Artists Center in Flemington, N.J. where he retailed original and limited edition reproductions, and provided framing services and custom stained glass. During that time he earned a Certification in Picture Framing and attended TAAPI seminars on conservation of paper art and artifacts. In 1995 Juris joined Sipi Metals Corp., Chicago where he was appointed VP, Technical Director in 2001 and where he later retired. During his tenure at Sipi Metals, Juris assisted the Chicago Art Institute in the characterization of their bronze artifacts, and in 2006 was asked to join the Institute’s Committee on Conservation, on which he still serves. He and his wife, Jo Dean, live in White Salmon, WA. 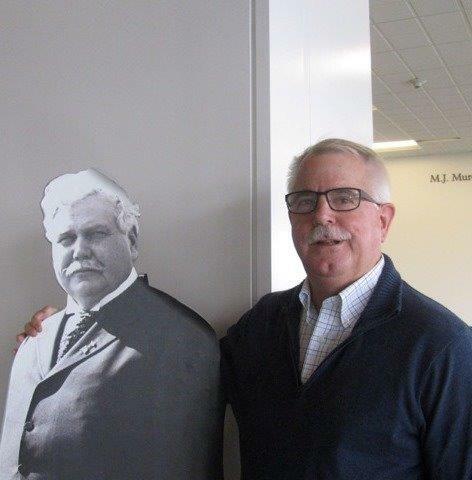 SCOTT SONNIKSEN, High Prairie, WA, is a fourth generation Oregonian, who has a great appreciation for the vision of Sam Hill and the creation of the Maryhill Museum of Art. A trip to Maryhill is a favorite for visitors, family and friends. The beauty of the Columbia Gorge also inspired Scott in 2009 to design and build their home and studio in the High Prairie area, where he and his wife, Rebecca relocated from their Portland home in 2015 to live full-time. Scott received his Master’s Degree in Fine Arts from Yale, his BS degree from Portland State University, followed by two years at the Brooklyn Art Museum on a Max Beckman Fellowship. He taught at Reed College, where he was Chairman of the Art and Art History Department during which time he oversaw the development of a new studio art building. Scott has also been a visiting artist and teacher at UC Santa Barbara, University of Oregon and PNCA. He has served on juries for the Regional Arts and Culture (RACC) for public commissions and on the boards of Contemporary Craft and The Friends of Timberline. In his studio, Scott continues to work on commissions for commercial clients who include Hewlett Packard, Intel, and US Bank as well as private collectors. His paintings are included in the Portland and Seattle Art Museums and well as in public and private collections nationwide. In 2000 Scott founded Radius Design a color and design business. His projects include the color selection of the Hawthorne Bridge, the exterior design of the Machine Works Building, as well as interior and exterior color design for historic buildings such as the Carriage House on SW Broadway and private residences. Rebecca, Scott’s wife of 40 years is retired from the Port of Portland where she worked at the PDX Airport in retail development, leasing and marketing. They have a daughter, Lara and two granddaughters living in Portland. CORDAY TRICK, Yakima, WA, is a longtime Northwest resident with more than 30 years’ experience in business, finance and community leadership. After studying business and accounting at Central Washington University, he served in the U.S. Navy then was a commercial pilot. He honed his financial management skills in the banking industry, going on to launch an aviation finance company and acting as financial decision-maker for several NW loan companies. 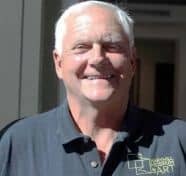 He is now retired after owning and operating a retail clothing business in Yakima, Washington and holds professional licenses in both real estate and insurance. Corday founded, and is treasurer of, the Yakima North Front Street Improvement Association. He has also served on several community boards and organizations including the Selah School District long range planning committee, Crisis Pregnancy Center, Triumph Treatment Services, and the Rotary Club. He has been actively involved in Enterprise for Progress in the Community (EPIC), a nonprofit that operates early childhood centers and family support programs throughout Central Washington. In 2003, he launched EPIC’s Attic, an upscale thrift store for the nonprofit. KEN WEEKS, Lyle, WA. 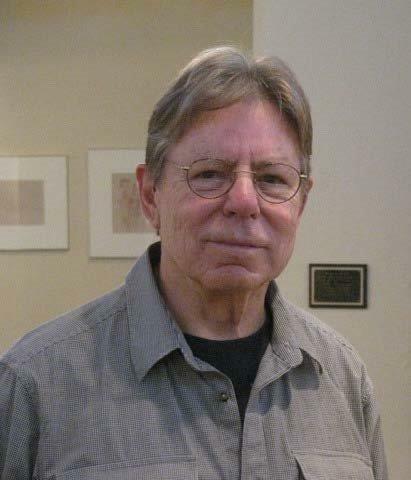 Born in St. Louis, Missouri, Ken attended the University of Oregon, receiving a Bachelor’s Degree in English Literature and a Masters in Art History. His work has been shown in both solo and group exhibits, including the 1981 and 1985 Oregon Biennial at the Portland Art Museum. Ken’s work is held in public and private collections throughout the Northwest. In 1981 he received a National Endowment for the Arts Fellowship. Ken has taught art history at Lane Community College, Pacific Northwest College of Art and most recently at the Portland Community College, from where he retired. In addition, he has been a guest curator, and has served on the boards of Artquake, and the Portland Center for the Visual Arts. Ken enjoys fly fishing and spending time in the garden with his wife Jocelyn. Maryhill Museum of Art, a membership organization, elects a revolving Board of Trustees at its Annual Meeting. Pursuant to the Bylaws, the Board may comprise no less than nine and no more than 25 members, with a majority residing in the State of Washington. The Governance Committee, subsequent to evaluation of qualifications and expertise, places candidates on the ballot for election to a three-year term. Members in good standing of Maryhill Museum of Art may nominate a candidate, or themselves, to the Board of Trustees by calling 509 773-3733 or emailing nominations@maryhillmuseum.org.